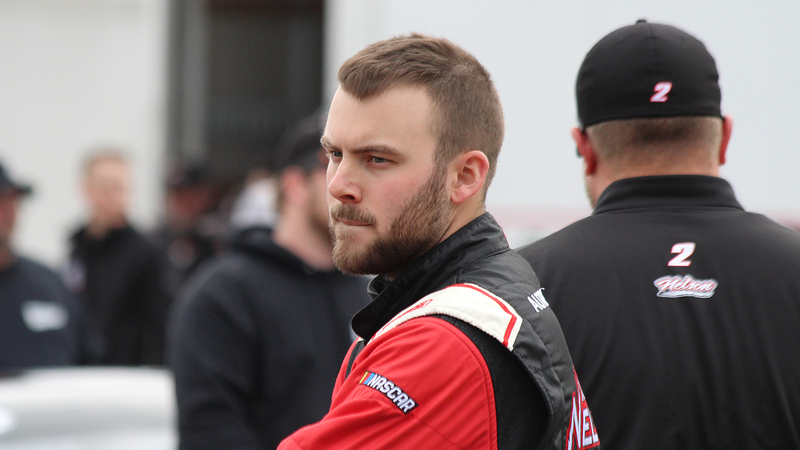 There were many drivers who had vast improvements during the 2018 season but maybe none stood out as much as Brandon Pierce. 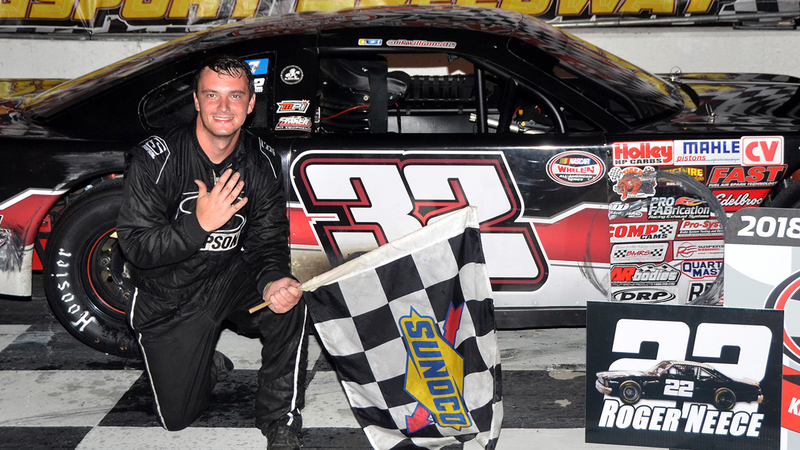 Pierce, driving for Nelson Motorsports, won his first Late Model Stock Car race at South Boston Speedway and nearly pulled off a CARS Tour victory at Orange County Speedway in the spring race. Pierce came into Late Model Stock Car racing with no stock car experience and little by little he gained the knowledge and got seat time to get to the point of being able to compete for wins. Pierce started all 11 races in 2018 in the CARS Tour Late Model Stock Car had one pole at Orange County Speedway in the spring, missed that win by one position to Deac McCaskill and collected three top five’s and seven top 10 finishes. 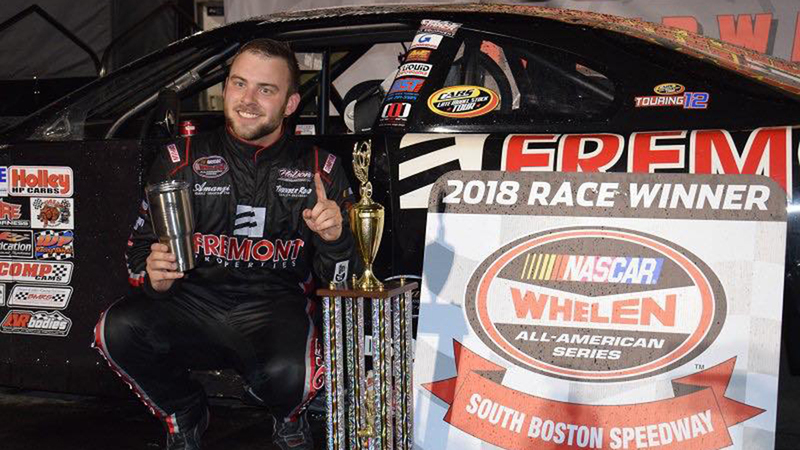 His lone win came in a NASCAR Whelen All-American Series feature at South Boston Speedway against the likes of Peyton Sellers and Philip Morris. Pierce might have only picked up one win but his performances in the CARS Tour coupled with his performance at Martinsville where he finished third after running among the leaders the entire race. Pierce’s performance on the track last year had many eyeing him every time he put his car on the track in any series. Pierce’s performance was also enough for him to be named the Most Improved Driver in Late Model Stock Car racing by the RACE22.com staff. While Pierce’s performance put him at the top of the list other drivers put together a great season and we want to recognize some of them as well. Among them was Nik Williams. A driver who kinda came out of nowhere seemingly and got on a mid to late season roll at Kingsport Speedway. He won six of seven of the final races he competed in during the season and nearly won the NASCAR Whelen All-American Series Tennessee State championship despite running fewer races than his competition. Ryan Millington also put himself in contention in many races during the season. Winning five races at Hickory as well as picking up one at Caraway and one at Ace Speedway. He’s been on the rise for the last few years and this year was another step of improvement. Thomas Scott’s performances at South Boston, Langley and Martinsville also have him improved greatly. Taylor Satterfield made strides at Greenville-Pickens and Anderson Motor Speedway going to victory lane during the season. Justin Carroll (the one from Langley) got himself to victory lane this year too and has been making great improvements every year. 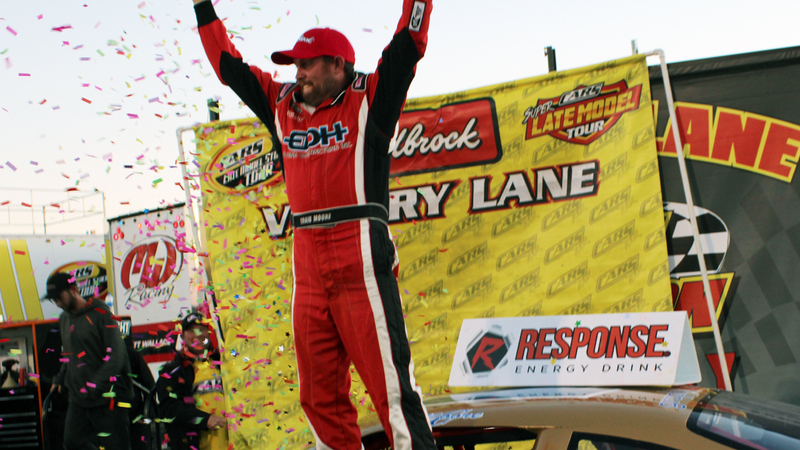 Trevor Ward also broke through in Late Models this year with a victory at Ace Speedway late in the season followed up by a fourth-place finish at Martinsville in the biggest race of the year. Jason Barnes showed great signs of improvement this season as well with several laps led at South Boston and top five performances. 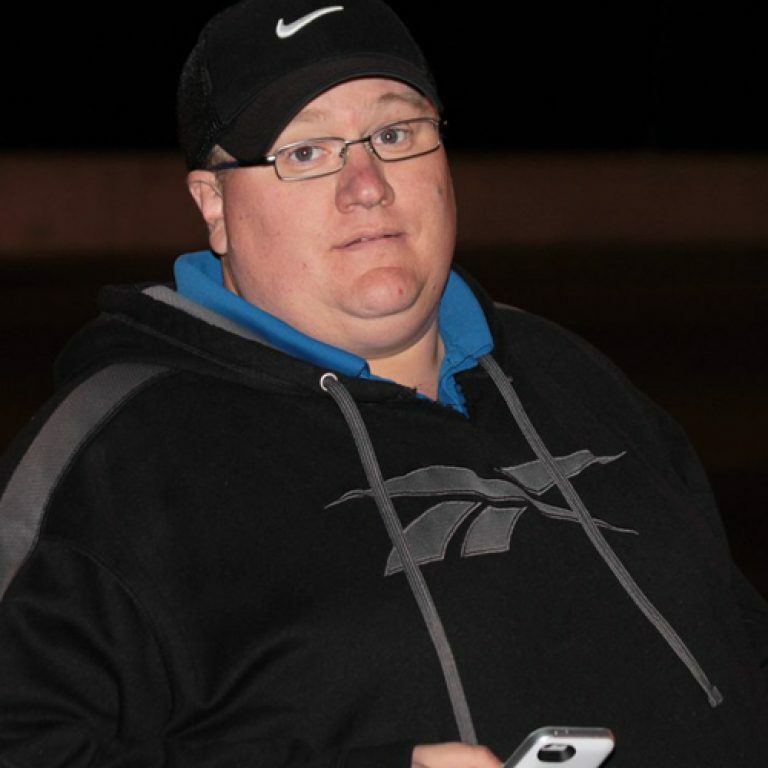 Craig Moore’s win at South Boston Speedway in the season finale in the CARS Tour is definitely a huge improvement as well for a veteran driver who’s won many weekly races at Orange County Speedway over the years. I’m sure we’re missing several drivers who made great improvements in 2018 but you’ve got another shot at getting on the list next year if you continue to improve.